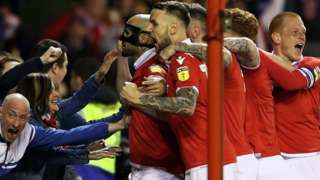 Yohan Benalouane scores the only goal of the game in the second minute as Nottingham Forest beat Derby County. M1 Leicestershire - One lane closed on M1 northbound from J24, A50 (Nottingham South) to J25, A52 (Nottingham), because of a broken down car. Traffic is coping well. 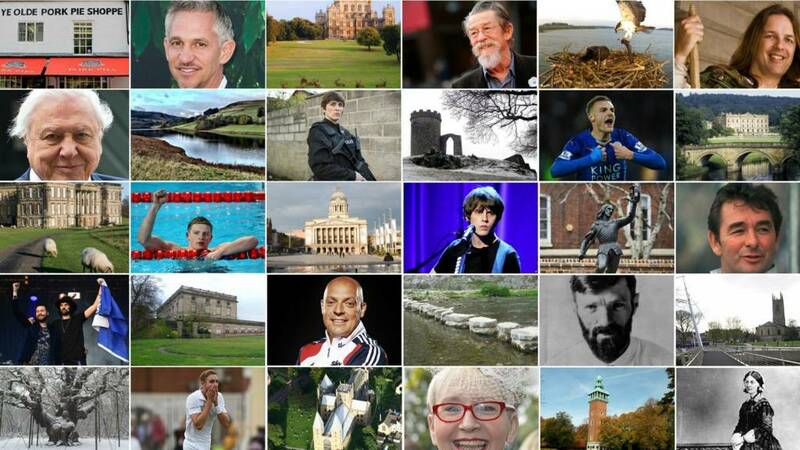 Adrian Cook says his daughter was let down by the authorities who "didn't act when she spoke out". M1 Derbyshire northbound severe disruption, from J28 for A38 Alfreton to J29 for A617 Chesterfield. M1 Derbyshire - One lane closed on M1 northbound from J28, A38 (Alfreton) to J29, A617 (Chesterfield), because of a broken down vehicle. Traffic is coping well. M42 Leicestershire - One lane closed on M42 southbound from J11, A42 (Burton-Upon-Trent) to J10, A5 (Tamworth), because of an accident. Traffic is coping well. M1 Leicestershire southbound severe disruption, from J22 for A50 Coalville to J21 for M69. M1 Leicestershire - All traffic being temporarily held on M1 southbound from J22, A50 (Coalville) to J21, M69 (Leicester). 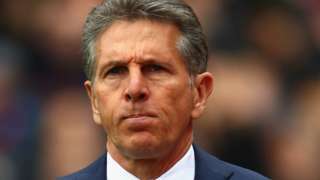 Leicester boss Claude Puel says "it is normal for the fans to be worried" after his side suffer a 4-1 defeat to Crystal Palace in the Premier League. 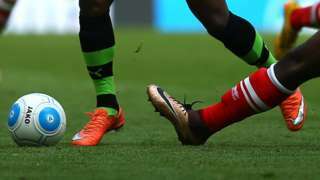 Tyler Walker's 21st goal of the season earns Mansfield victory against promotion rivals Forest Green Rovers. Warren Burrell nets the only goal as Harrogate beat Chesterfield to climb back into the National League play-off places. Tranmere keep up their play-off hopes after grinding out a victory against relegation-threatened Notts County. 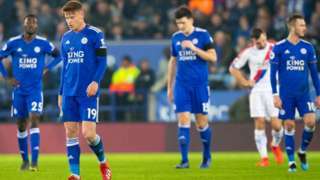 The illustrator says he is not surprised by the ban but that public response had been "mostly positive". 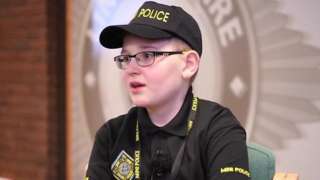 Alex Goodwin became an honorary "mini officer" with special responsibility for wildlife. M1 Leicestershire northbound severe disruption, from J22 for A50 Coalville to J23 for A512 Ashby Road East. M1 Leicestershire - M1 closed northbound from J22, A50 (Coalville) to J23, A512 (Loughborough), because of overrunning roadworks. Traffic is coping well. Diversion in operation. A42 Leicestershire northbound severe disruption, at A453 Ashby Road Derby. A42 Leicestershire - One lane closed on A42 northbound at Derby, because of a broken down vehicle. Traffic is coping well. 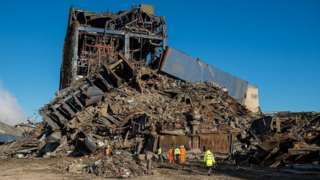 Police investigating a power station collapse say they have examined 870 tonnes of evidence. A52 Nottinghamshire both ways severe accident, from Nottingham Road to Castle View Road. A52 Nottinghamshire - A52 closed and queuing traffic in both directions from the Nottingham Road junction to the Castle View Road junction, because of an accident involving three vehciles.